US President Donald Trump (left) and North Korean Chairman Kim Jong-un (right). Before the Hanoi Summit, Trump insisted that if he became unsatisfied with the meeting’s progress, he would walk away from the table. That was precisely what he did. It is not easy to comprehend what might have impelled Kim’s decision not reach a common understanding with Trump in order to create a denuclearization agreement. Yet, regardless of what drove Kim, the question of what will come of all the diplomatic work done to this point remains. Of particular interest might be how Trump might assess Kim’s actions and intentions in Hanoi’s aftermath. The strains placed on both US President Donald Trump and Democratic People’s Republic of Korea (North Korea) Chairman Kim Jong-un in their February 27-28, 2019 meeting in Hanoi were quite significant. The intended outcome of the meeting, that primarily being an agreement on denuclearization and North Korea’s economic rejuvenation, would have been positive for both sides. 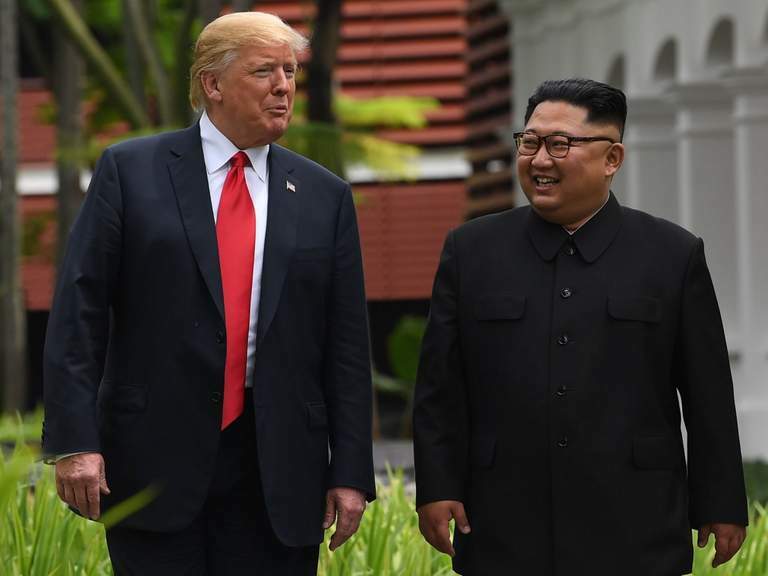 Before Hanoi, Trump put considerable energy into considering the type of partnership with Kim that would be largely economic, and certainly serve the interests of the US and its regional allies. He remained optimistic despite being bombarded by the voices of pessimism heard from naysayers and dream killers of all political stripes. For Kim, moving North Korea along a path toward the economic miracle that Trump proposed would require a well-planned, monumental project to restructure the only world he and his people have known. Surely, it was worth the candle for both Trump.and Kim to make a go at it. However, it may very well be that Kim did not fully understand that everything North Korea is, and everuthing it has, was actually at stake. To that extent, North Korea may not have been properly invested in the move toward denuclearization. It appears even Kim’s purported percipience of Trump and US foreign and national security policy making was also lacking. (Perhaps that knowledge was simply not being properly applied in practice.) . Is Kim Missing the Bigger Picture? 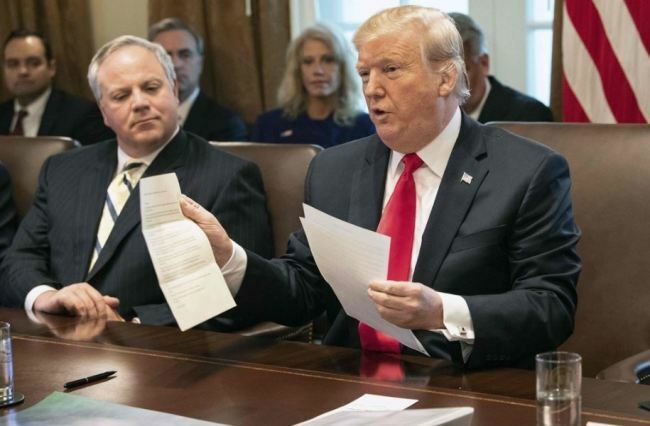 Right on the heels of the summit’s closing, Trump held a unilateral press conference in Hanoi on February 28, 2019, essentially to explain why an agreement could not be reached. Trump told reporters that the crux of the matter was sanctions. In summarizing the situation, Trump stated Kim wanted sanctions lifted to a degree in which they would be rendered ineffective. In exchange, Kim would be willing to denuclearize portions of critical areas. Yet, Trump said those testing areas Kim was willing to break down were not the ones the US wanted. They were hardly enough to elicit the cessation of sanctions. Since Kim held firm to that position, Trump explained that there was little choice but to walk away from that proposal. However, Trump never indicated the conversation on the denuclearization had been exhausted. There was no legitimate cause for any confusion in Pyongyang as to what Trump wants in return for a prospective partnership is the same prize that was at the root of his decision to talk with Kim: denuclearization, the end of long-range missile development, the continued return of US remains from the Korean War, and dependability. As one can see, progress made on some of these matters was mentioned by Trump during his Hanoi press conference. In exchange, Kim would be assured that economic pressure, sanctions, would be mitigated, and a robust path toward economic renewal, backed by the experience of Trump and the largess of the US would be initiated. The Trump administration officials, particularly US Secretary of State Mike Pompeo, have sought to engage in very open, honest, and frank communications with their DPRK counterparts. That would include making inquiries regarding what is happening within the chambers of decision making of North Korea. From that information, the administration has been able to proceed with a good idea of whether success is possible. 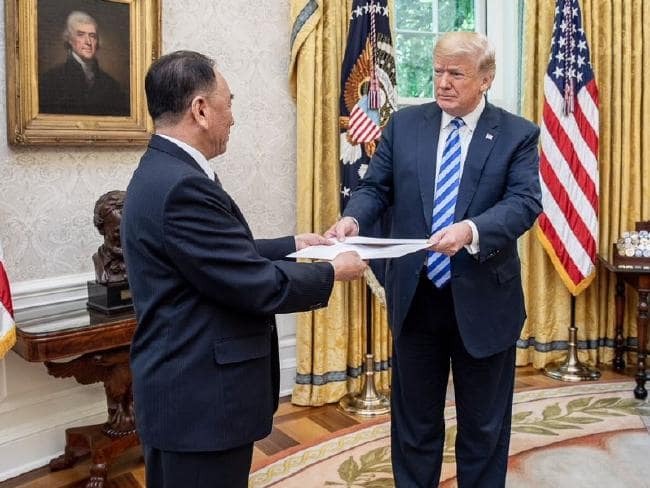 There have also been letters from Kim to Trump that have provided a sense of where things stand in North Korea regarding denuclearization. There was also no ambiguity over the fact that the Trump administration certainly does not want to give up the strengths and equities of its alliances with allies. Those ties that bind allies in the region are the same ties that assure unity when dealing with China. Alas, at the table, the maximum that Kim could possibly collect about Trump, in order to make a good decision on the deal offered, was put before him, for all answers concerning the US position, concept and intent, ultimately resided in Trump, himself. Kim and his aides and advisers in Pyongyang could not reasonably ask for anything more. It would say much if Kim could not see that real empathy may have come from Trump, understanding how heavy a burden such a decision might be for the young leader. Previous deals with North Korea of great significance were last reached with his father, Kim Jong-un, and they crumbled under the insistent strain within North Korea, in Kim regime to pursue the goal of his father and grandfather, Kim Il-sung of developing nuclear weapons. That goal has been achieved. There may still be the strain within Kim to ignite an economic development akin, or even beyond, the Chollima Movement, as initiated by Kim’s grandfather and hero, Kim Il-sung. There is much that needs to done in North Korea, and as Trump has repeated, great potential exists within its workforce. Trump’s critics and detractors insisted that Trump was out of court to even attempt to reach agreement with Kim that would meet the requirement of serving the interests of the US and its allies in the region. Surely, the Trump administration would never surrender the strengths and equities of its alliances with allies. Those ties that bind allies in the region are the same ties that assure unity when dealing with China. Those critics and detractors, upon discovering that Trump was unfazed by their persistent negative voices and was going to make the effort anyway, eventually turned to the standby criticism concerning any of Trump’s efforts on foreign and national security policy: he is unqualified. Further, they would also insist that behind everything Kim has done was a hostile DPRK plot, a “Red plot”, to lure Trump and the US to destruction. Attacks by critics and detractors of Trump have manifested more than elementary cynicism. The dark shadows of their machinations gathered as the Hanoi Summit came near. Their efforts did more more than serve to tear those in the US public who are supportive of Trump away from him. Despite claims from Trump’s political adversaries, and the usual critics and detractors that what was happening in Washington had no impact on what occurred in Hanoi, nothing could be further from the truth. Indeed, it would seem that Pyongyang, unfortunately chose to do what was expedient. That meant believing Trump was stressed from the potential release of a final report of the Special Counsel to Investigate Russian Interference with the 2016 Presidential Election and Related Matters. There have been repeated insinuation that Trump faced the threat of investigations by the Deputy US Attorney for Southern District of New York and the New York State Attorney General. Pyongyang might have believed that Trump, caught in the wave of excitement concerning the 2020 US Presidential Campaign, mystifying reports of supposed gains by Democrats in polls versus Trump, and the reported mayhem that exists within the mainstream political parties. There may have been the belief that Kim could capitalize on some forecasted by the intelligence services on the impatience on the part of Trump. Reports commentaries, and opinion pieces in the US news media surely would have rung a bell for Kim’s aides and advisers and analysts in North Korea’s intelligence services. From that, it would follow that Trump’s political difficulties at home would likely distract him. If any of this was the case, it may explain why Pyongyang seemingly went all in on an effort to force Trump’s hand. 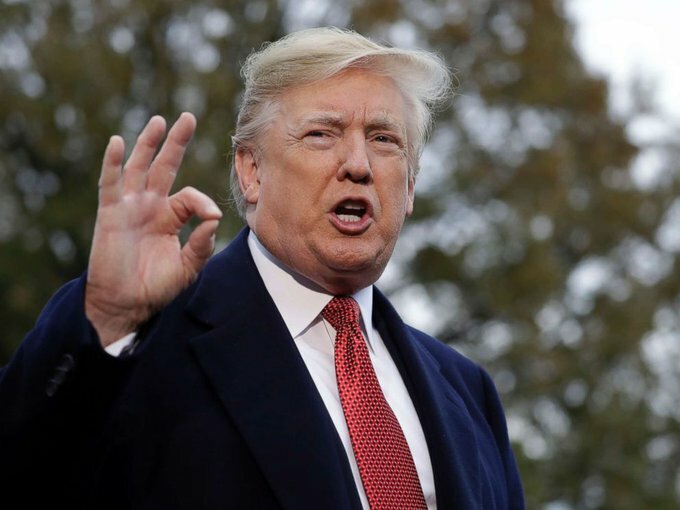 What Trump confidently knew, but Kim and his aides and advisers in Pyongyang would have unlikely been able to discern clearly, was that the hearings of the Judiciary Committee of the US House of Representatives and in camera testimony before the Intelligence Committee of the US House of Representatives in which Trump’s erstwhile attorney Michael Cohen testified, in essence amounted to vanity projects undertaken by political opponents of Trump in his rival Democratic Party. Although the hearings grabbed headlines in the US news media while Trump met with Kim in Hanoi, the new information gained from them was for the most part already widely known. As it has been repeatedly counseled by greatcharlie, reacting, and much worse, inferring how Trump’s mind moves on an issue from stories, iniquitous commentaries, and opinion pieces in the US news media. For the most part, US news media houses have done a complete job presenting themselves as Trump’s adversary, not simply critics and detractors. In either case, they are not playing the impartial watchdog role in which the fourth estate is supposed to serve. One might theorize that Kim’s failure to return home with a constructive answer may not have driven as much by politics but by the possibility that he possesses a 50-50 personality. This is not intended as a disparagement or an affront. It is not to suggest that Kim is a mixed bag, or worse, indecisive. It does not mean Kim is regularly afflicted by the paralysis of analysis. The 50-50 personality is the one able to see beyond black and white to the grey areas of significance. Kim cannot be pegged as one extreme or the other. Kim’s trained ability to project calmness and authority in all circumstances publicly has little relation to what might be stirring within. In private, he may in reality be as much the introvert as the extrovert, he may entertain his sense of things as much as use a honed intuition. He may try to feel through issues and situations coupled with thinking them through ad infinitum. He may be willing to use his perception of matters taking into account his experience and much as making calibrated judgments based on available facts and methods of analysis. New Problems or a Curious Attempt to Ignite Further Talks? Kim has created an additional problem himself at this point. Reportedly, he has sought to reconstruct a disassembled testing facility for long range rockets at Tongchang-ri. On first blush, it certainly does seem there is nefarious purpose behind his actions. It is hard to see how anyone could view Kim as anything but an aggressor. Trump has invested in diplomacy to resolve matters in contention: North Korea’s nuclear program and its long range delivery systems. Tactical moves must have payoffs or they are useless exertions, often opening the door for opponent to act. Kim, having met Trump, should not be under any illusion that Trump would not respond fiercely to moves he might find aggressive and or threatening. Kim does not need to extrapolate and infer anything from overt or covert sources that his intelligence services may be relying upon to understand and predict Trump’s moves. The suspension of military exercises should not have signalled to Kim that Trump is not interested in a military option. As he indicated in words he has since set aside in the spirit of negotiating some resolution, North Korea’s aggression would met with “ fire and fury the world has never known!” Pardon greatcharlie’s freedom, but military exercises with conventional forces would hold less significance on the North Korea front if an attack conceived by Trump would include the use of scores of nuclear weapons. Does Kim Really Know What Is Best for North Korea? A logical next step for Kim and his aides and advisers, if they are truly interested in, and dedicated to, this important diplomatic process, might be to try to get the toothpaste back into the tube. A sign that such an effort could already be underway might be official statements by the foreign ministry of North Korea insisting that there was a desire in Pyongyang for a partial denuclearization. Indeed, on February 28, 2019 in Hanoi, North Korean Foreign Minister Ri Yong Ho explained that Kim’s regime sought only “partial” sanctions relief in return for dismantling the North’s main enrichment capabilities for fissile material. As for continued negotiations, Ri stated, “It is difficult to say whether there might be a better agreement than the one based on our proposal at current stage.” He continued authoritatively, “Our principal stance will remain invariable and our proposal will never be changed, even though US proposes negotiation again in the future.” Ri also confirmed that the North would be willing to “permanently dismantle all the nuclear material production facilities” at the main Yongbyon nuclear site and allow U.S. nuclear experts to observe. He went on to complain that North Korea had sought an end to “sanctions that hamper the civilian economy, and the livelihood of all people in particular,” citing five out of 11 sanctions packages imposed by the UN Security Council. As mentioned earlier, sanctions relief along those lines would have amounted to a significant easing of the pressure on North Korea. Although some somber and astute analysts might reach the conclusion that the foreign ministry’s bold, inaccurate statements, with their familiar antagonistic cadence, was simply a pretension, one more dramatic expression of Pyongyang. The odd hope of it all would appear to be influencing opinion among senior officials of the Workers Party of Korea and other elites of business circles of the society that Trump was not sincere about sanctions relief and he failed to respond to what is likely extolled in Pyongyang as Kim’s “generous offer”. It may very well have been the case that Pyongyang had the foreign ministry’s statement “locked and cocked” even before Kim left by train for Hanoi in the event that Trump would not accept the terms he planned to offer him. It is interesting how North Korean officials have spoken so obstinately of Trump’s openhandedness toward their country. Perhaps Pyongyang has forgotten that Kim is not exactly everyone’s cup of tea. (That is unlikely something anyone in Pyongyang would ever say in Kim’s presence.) Among industrialized countries, ruling out the Russian Federation and China, few governments hold a favorable opinion of North Korea. Pyongyang should rest assured that a number of capable US allies have likely suggested in confidence that Trump should move on from diplomacy and simply use military force on North Korea and indicated the willingness to join that effort. Trump, the one that North Korean Foreign Ministry officials now criticize, is the national leader who truly has the military power to destroy North Korea, yet he has given it a chance to prove its positive intentions to the world. Trump has sought to create the circumstances in which the entire world could begin to think well of North Korea and consider ways to work well with it. Trump’s description of his contacts and communications with Kim and public statements about his friendship and chemistry with him, have made him far less the threat that deservedly made headlines with angry words and aggressive moves in 2017 when the administration began. Trump kept his promise to work directly with Kim on the diplomacy, although it would unlikely have gone any other way as he has become the administration’s talisman on bilateral diplomacy, trade talks, essentially every kind of dealmaking. More than half way through his term as of this writing, Trump has amassed a record of making things happen; getting things done. Not under any circumstances would the reconstruction of the testing site fall under the category of a benign act. 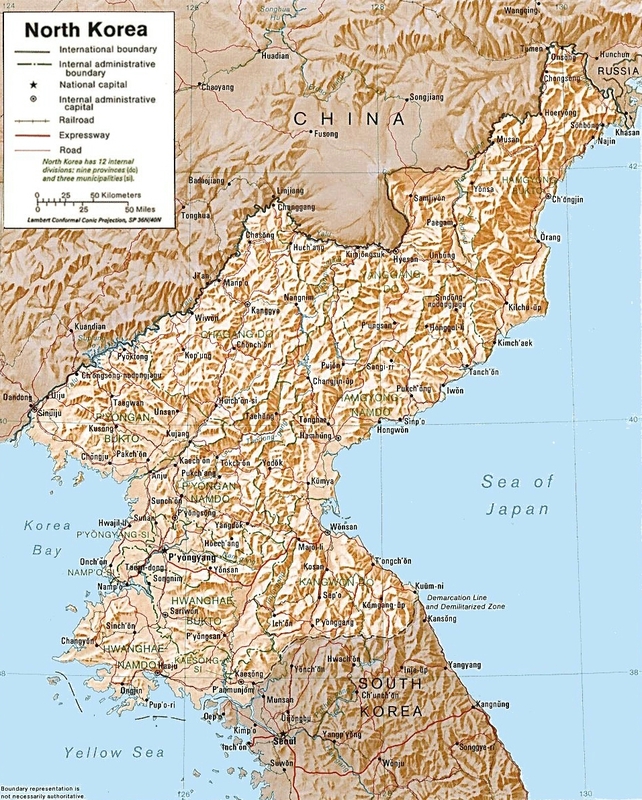 It would hard to see where Pyongyang, having had two bites at the diplomacy apple, might hope to have some understanding of its move to reconstruct it’s long-range rocket testing site in a positive way in Washington or anywhere in the US for that matter. In reconstructing the testing site, Kim is doing precisely what Trump said he did not want North Korea to do. 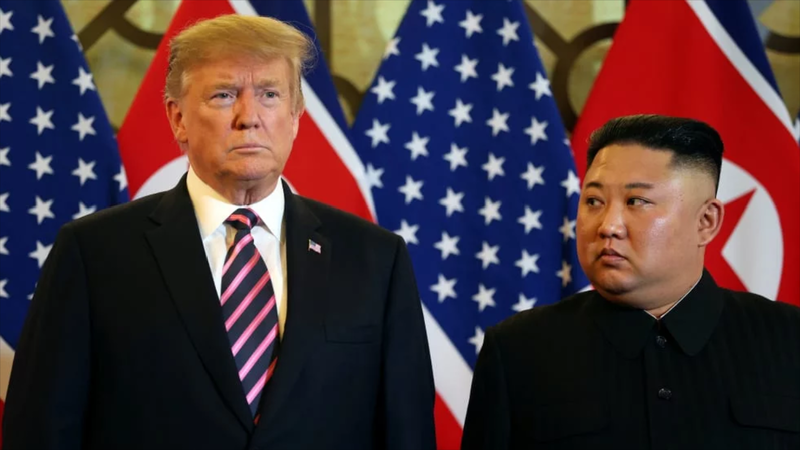 Nonetheless, taking a second look purely out of academic interest and with a dose of optimism at the matter of Kim’s move to reconstruct the testing site from another angle, one could say that the effort, albeit poorly conceived, was designed to create a position of perceived strength and encourage Trump to talk with Kim again. After all, that step was less threatening than other available options to garner immediate attention, create urgency. Kim could have begun reconstruction on a shuttered nuclear facility or begun building a new one. Kim could have made unsubstantiated public claims of possessing new nuclear technologies to enrich uranium for weapons such as the ability to separate isotopes through laser excitation (“SILEX”). (Note, this is just a hypothetical. There is no effort here to suggest that North Korea possesses such capabilities.) For Pyongyang, the danger in engaging in such tricky stuff is that the wrong signal may be sent to Washington. By and large, Pyongyang has asked the Trump administration to be patient and to recognize that on the world stage, North Korea is going to display a lack of sophistication, savoir faire, and present itself as the isolated, authoritarian “hermit kingdom” it has always been. While it may have hoped to move things in a specific way, it is possible that what might be intended through such moves could be lost in the labyrinth. Perhaps even unknowingly, Pyongyang has placed its best hope in Trump’s willingness to interpret its moves in a somewhat positive way and view the diplomatic effort as being worth the trouble. It is apparent that Trump along with those foreign and national security policy officials who were optimistic about a deal being reached on denuclearization with North Korea, reasoned that it would be worth giving Kim the benefit of doubt. However, one could never be completely clear on how denuclearization would fit into the worldview of the Workers’ Party of Korea or Kim’s inner thinking. Shots have not been fired at anger across the border. There has been no testing over nuclear devices and no testing of long-range or short-range rockets. If a chance might be taken in the name of finding a peaceful agreement, right now is certainly the time to take them. It certainly would be a ashame if the positive spirit which had been discern in the White House from Kim’s thoughts, words, and deeds from Singapore until Hanoi, was simply imputed by the administration to greater degree than warranted. Admittedly, it is hard to understand why Pyongyang would at this point, hope for peace while reconstructing a testing facility for long-range rockets. 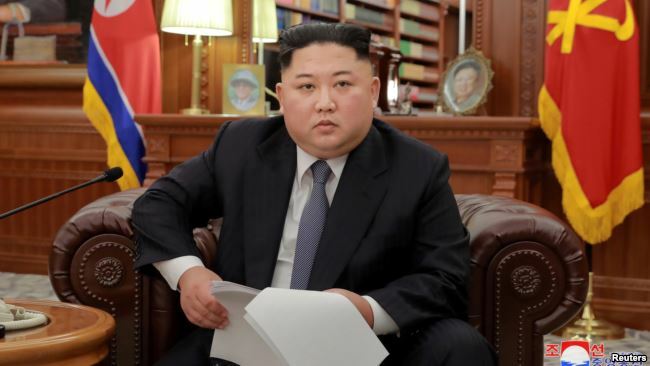 It is worth noting that in a more forceful, less grateful statement than Ri’s on February 28, 2019, North Korean Vice Foreign Minister Choe Son Hui, explained: “The impression I got observing this summit from the side was that our chairman seems to have difficulty understanding the US way of reckoning.” Choe, offering her own assessment, declared: “I felt that our chairman has lost the will to engage in dealmaking, with the US saying that even a partial lifting of sanctions for the civilian economy is hard.” Conditions surely will not change through diplomacy if Pyongyang refuses to negotiate. If anything positive could be gleaned from Choe’s statement, itself, it is the fact that the harshest words were delivered by a vice foreign minister, not Kim or a very senior Workers’ Party of Korea official. That may have left the door open for Kim or a senior officials to walk back from those words, making diplomacy with the hope that cobbling together a denuclearization agreement might still be viable. Apparently, Trump mercifully brushed off pretentious statements by DPRK’s officials on their country’s power relative to that of the US, and the great disproportion between them with reality. It is difficult to determine how long Trump’s patience will last though. Given a third chance, Kim might goof again. If an agreement is reached between US President Donald Trump and Democratic People’s Republic of Korea (North Korea) Chairman Kim Jong-un in Hanoi, it would certainly be a great leap forward not only in terms of US-North Korea relations, but also in terms of establishing true global peace and security. Smart money says both Trump and Kim will come through for their people, and the essence of an agreement as initially desired will be put together. The world should wish them well. What Trump wants in return for a prospective partnership is the same prize that was at the root of his decision to talk with Kim: denuclearization, the end of long-range missile development, the continued return of US remains from the Korean War, and dependability. In exchange, Kim would be assured that economic pressure to include sanctions would be mitigated, and a robust path toward economic renewal, backed by the experience of Trump and the largess of the US would be initiated. Accepting that has most likely been tough for the North Koreans on many levels. The enormous uplift and national pride, the sense of power and control, that comes with possessing nuclear weapons and the means to use them, elevates their importance in Pyongyang. To that extent, resistance to Kim’s effort could have been expected from many senior officials. Certainly, Kim is well equipped to cope with stubborn resistance to his new efforts in his own way. However, quite different from resistance to a deal, but still threatening enough to it, would be almost inherent lack of desire in Kim or any other official in Pyongyang to be “subsumed” by Washington just to gain advantages or considerations being offered. It must always be remembered that the North Korean government is authoritarian in nature and underpinned by a revolutionary movement. It will be reluctant to trust and slow to accept change. There would unlikely be a desire to integrate with what North Koreans may have for so long demonized as a Western-led international order. What may also prove challenging for Pyongyang, if an agreement is reached, will be exercising the restraint required when working within the international order. The parameters of of bilateral and multilateral agreements, rules, regulations, and procedures, will need to be obeyed. Pyongyang should not equate using restraint as surrendering control. Rules, regulations, and procedures both established and understood in the international order, allow for sense of certainty, assurance, and safety. If anything, control resides in Pyongyang’s ability to make the decision to enter and to remain in the global economic fray as a genuine player. What is being presented is an authentic opportunity for North Korea to choose to be something other than a stranger to the rest of the world. Given the great economic and financial benefits expected of a Trump-Kim deal, the question would likely remain in Washington on whether the life condition of the North Korean people would be changed by steps taken by it. Only Kim would be able to decide that. The best hope Washington might have on the matter would be that Kim will accept with “revolutionary zeal and patriotism” that the transformation of the country should touch all levels of North Korean society. Interestingly, if Kim follows through on a deal with Trump, the economic effort could very well be viewed as the greatest attempt to take DPRK’s Revolution to new heights since the Chollima Movement initiated by his grandfather, Kim Il-sung, decades ago.